Your salon has a few different extension options to help you get the look that you want. Adhesive weft hair extensions use an adhesive strip placed in between the natural hair. With the proper care, they can be used up to 3 times to give you a new style quickly. Bonded hair extensions are bonded to the tip of a hair strand. Cold cylinder application hair extensions are actually threaded into the hair and a cylinder for optimal hold. You should talk to your hairstylist about the different kinds of extensions so you can decide together which ones will work the best for you. Hair extensions help you change between different hairstyles quickly and efficiently. Most kinds of extensions are easy to remove and to reuse, which helps you get the most for your money. You can find hair extensions in natural and fashion colors to ensure that you get the look that you want. 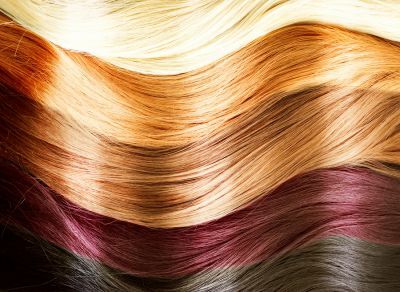 If you want the most natural looking results, it is important to let the hair professionals at the salon take care of your extensions. The hairstylist can guide you in the direction of the right texture and color for your needs. When a hairstylist places the extensions into your hair, you can also be sure that they will stay in place. Protect your natural hair while wearing hair extensions by using hot oil treatments and a good conditioner. Talk to your hairstylist about the right kind of products to use to keep your natural hair as healthy as possible so it feels as good as it looks.